So now I discovered you can unscrew the white piece from the brown one. 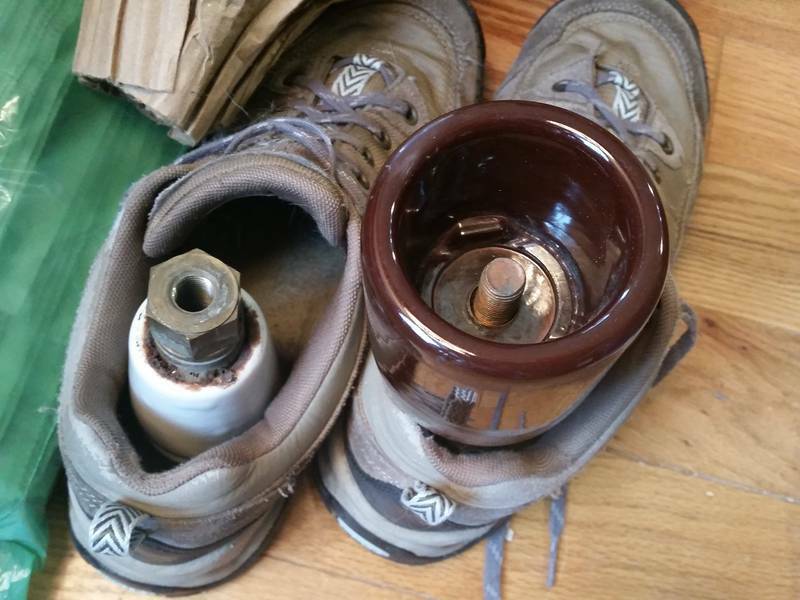 [id=515682700] Maybe these never belonged together in the first place, and someone just found that the fitting on the white piece matched the threaded rod on the brown one and screwed it on. Still guessing the brown piece is something electrical, not sure about the white piece.